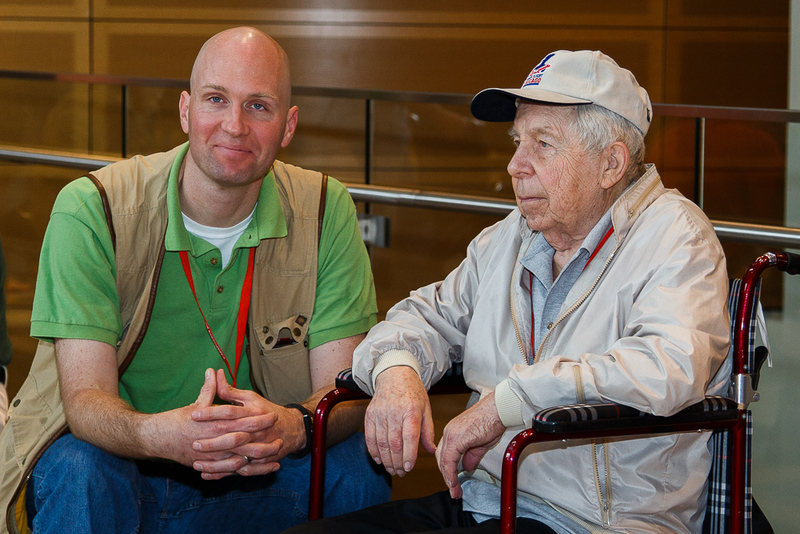 I once again had the pleasure of participating on a Chicago Honor Flight. 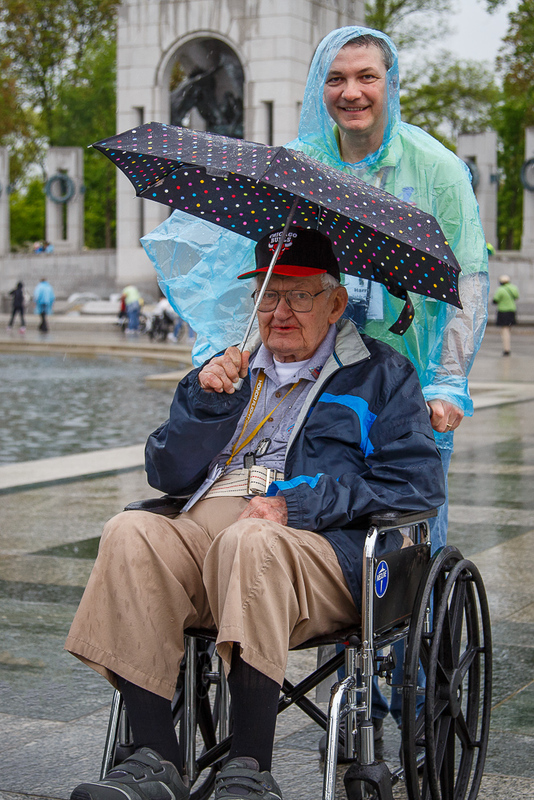 Honor Flight Chicago brings WW II veterans to Washington literally by the plane load. The most recent was May 10. On previous flights I participated as a Guardian. 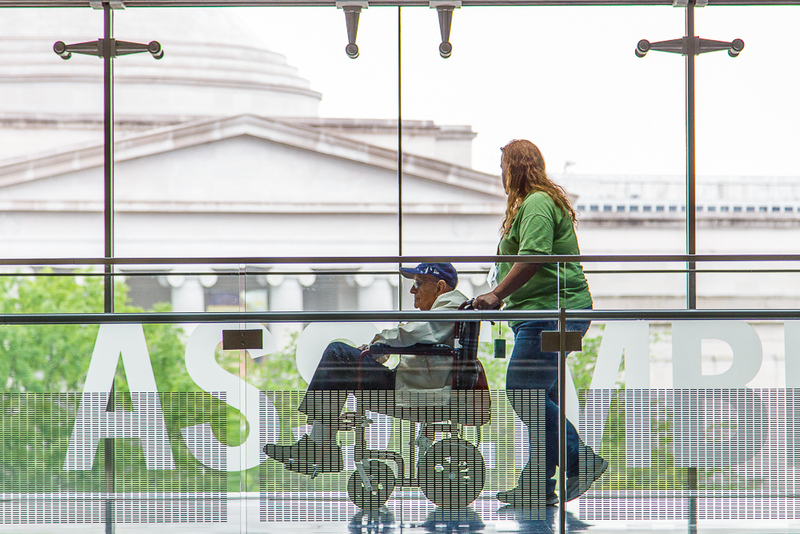 A Guardian spends the day assisting the veteran throughout the days activities. The day is spent visiting the WW II memorial, the Korea and Vietnam memorials and various other attractions depending on the weather and time alloted. For this flight I was a dedicated photographer. This allowed me to concentrate on getting pictures which more fully cover the days activities. As you can see, the weather was a bit damp. But this didn’t dampen any of the vets spirits. Due to heavy weather moving in, there was a quick change to Plan B, a visit to the Newseum. A short while later the rain has passed and we were back to visiting the monuments. 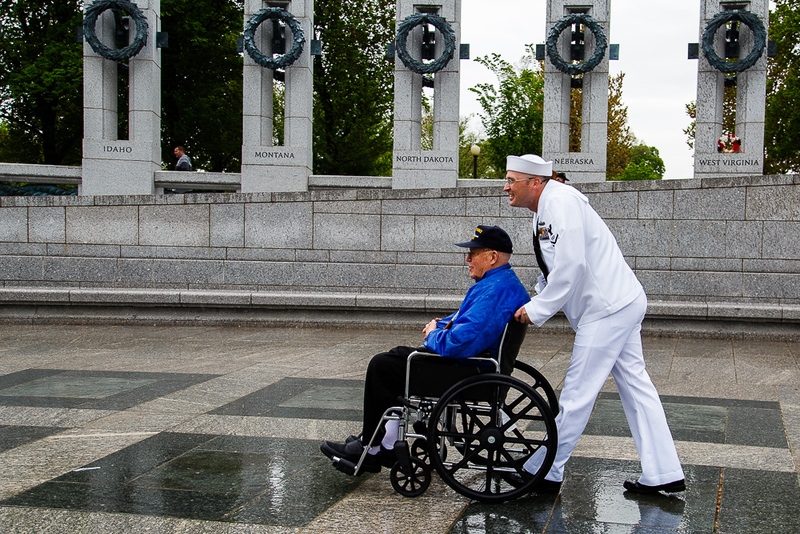 This entry was posted in Honor Flight and tagged Chicago, DC, Honor Flight, veterans, Washington, WW II by Norm Gresley. Bookmark the permalink.